daily painting | "A Place for Learning"
This is a painting that I did for Allen for Christmas. 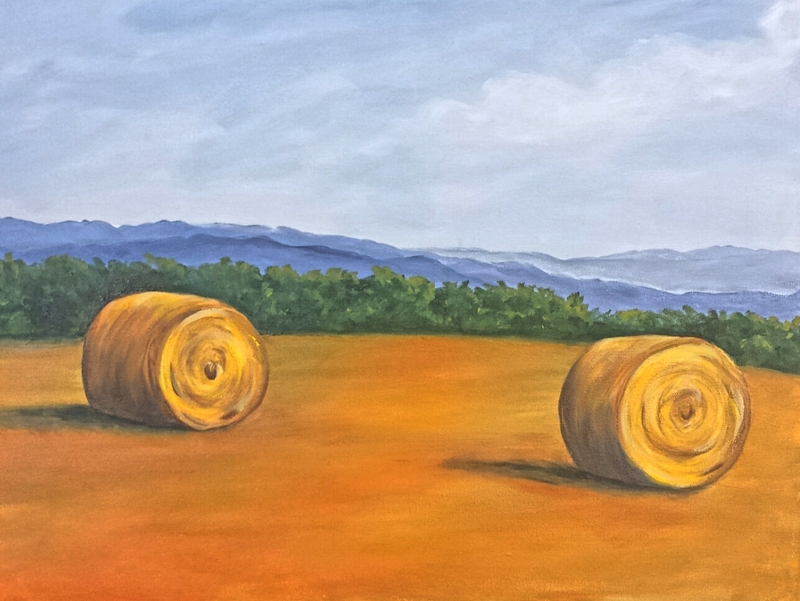 It’s on an 8″ x 24″ canvas in acrylic. I forgot to take a photo after finishing it so he took this shot with his phone for me. Hopefully I will take a another photo to post soon. 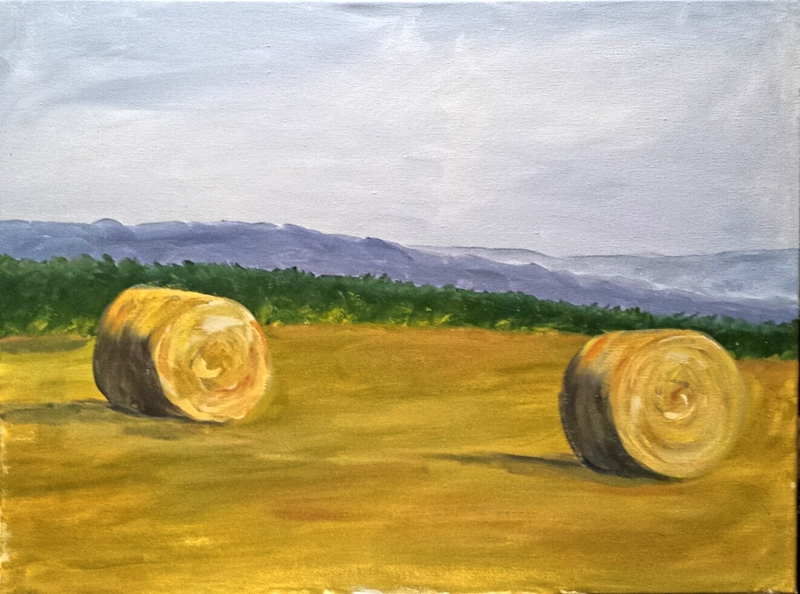 The group at the 1st Saturday Paint Party created wonderful paintings of Hay Bales in the Field yesterday. Great work ladies. And what fun. It is always good to paint with such a cheerful group. Keep up the good work. 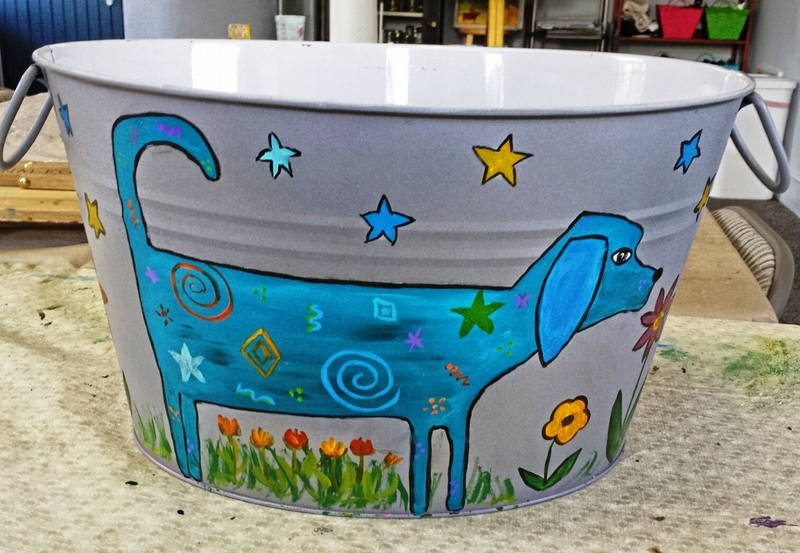 Sample of Folk Art Bucket similar to what we will paint at the next party. 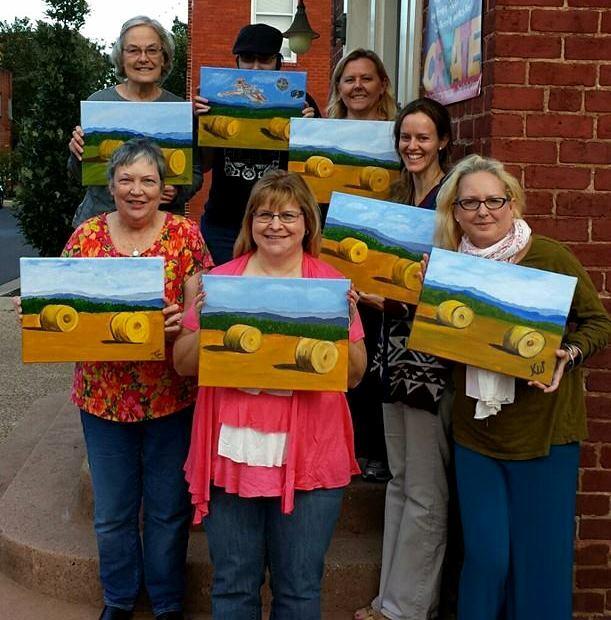 The next Paint Party is Saturday, October 18th at 3 pm. We will be trying something new-painting buckets and other metal items. Just contact kwalker@doubledogdesigns.com to register for this fun event! A few days ago I posted “The Talking Beagle”, an acrylic painting that I started during art class last week. (See that post here.) I finished it this week. I just love the way beagles “talk” and when I saw the photo of this little guy baying I knew it would make a great painting. 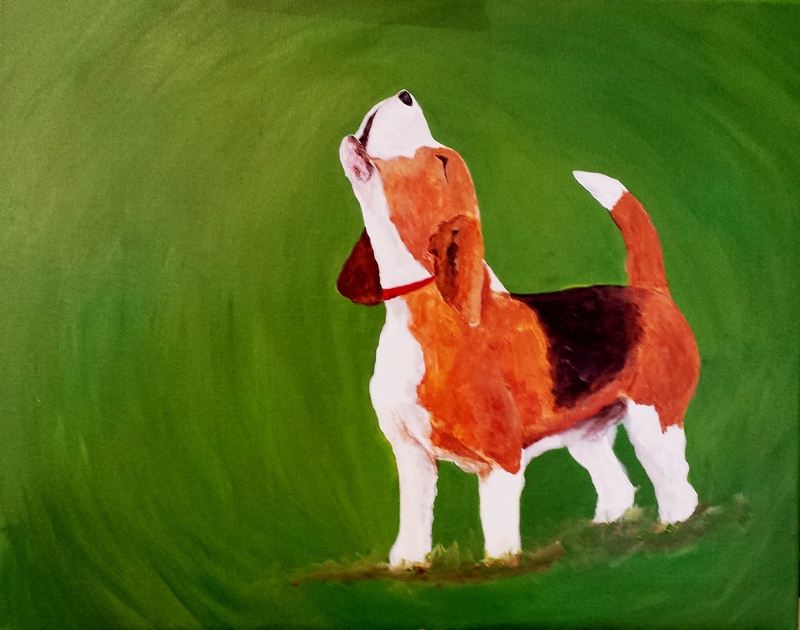 “The Talking Beagle”, acrylic on canvas, 16″ x 20″, available for $225. 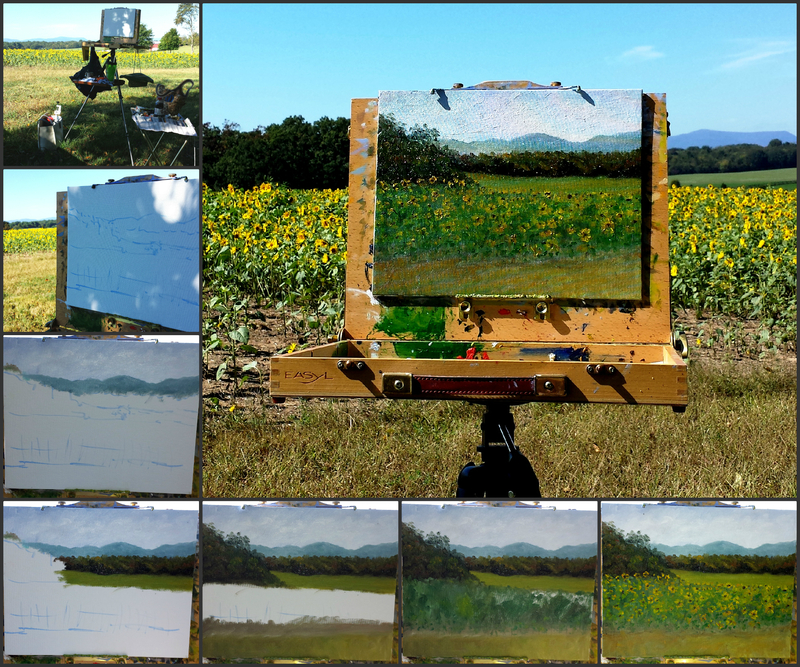 I spent a delightful morning painting a sunflower field at a beautiful farm north of town yesterday. It has been awhile since I have been out to paint and I had almost forgotten how much I enjoyed it. As with most Plein Air paintings that I do this one is almost finished but will get a little adjustment now that I have it in the studio. 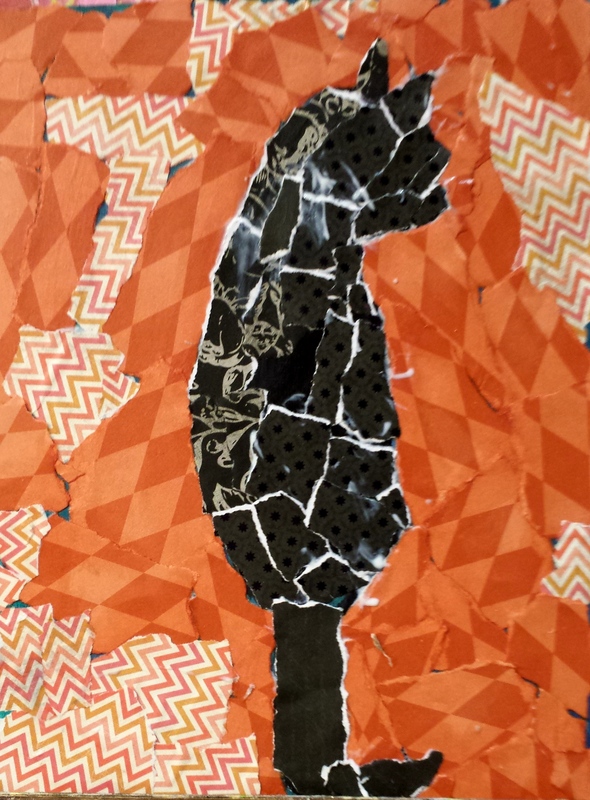 You can see the step-by-step progress in this collage. Sunflower View I is an oil on canvas panel measuring 11″ x 14″. SOLD! 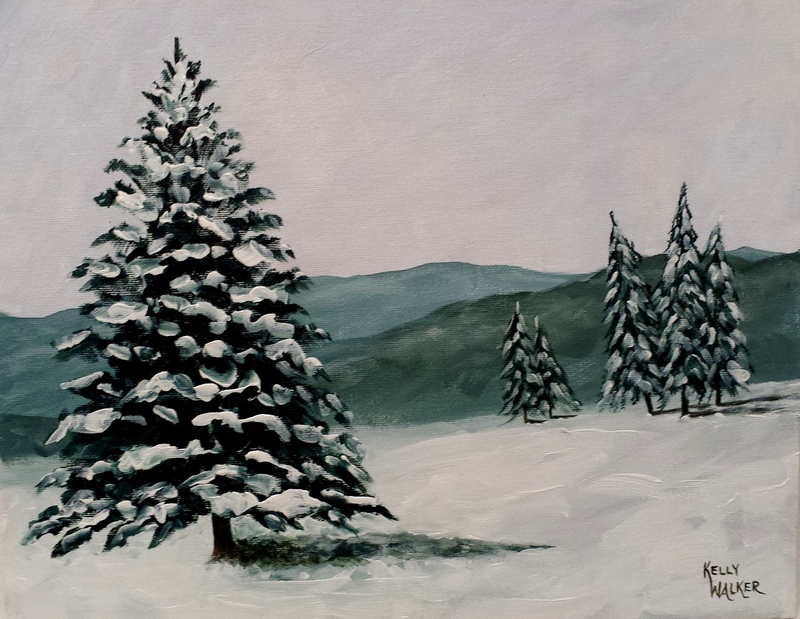 I took a little time to work on the demonstration painting that I did last week at The Village at Orchard Ridge. (Read about that here and here.) Often when doing a demo painting I get it about 75-80% completed. I like to take questions so I talk while painting and I can’t always concentrate on details to finish up. That is what happened with this one. I used a larger canvas than usual because I wanted everyone to be able to see it so in the 50 minutes that I painted I did get a lot done but still needed to wrap it up. Here are the photos side by side to see the difference.